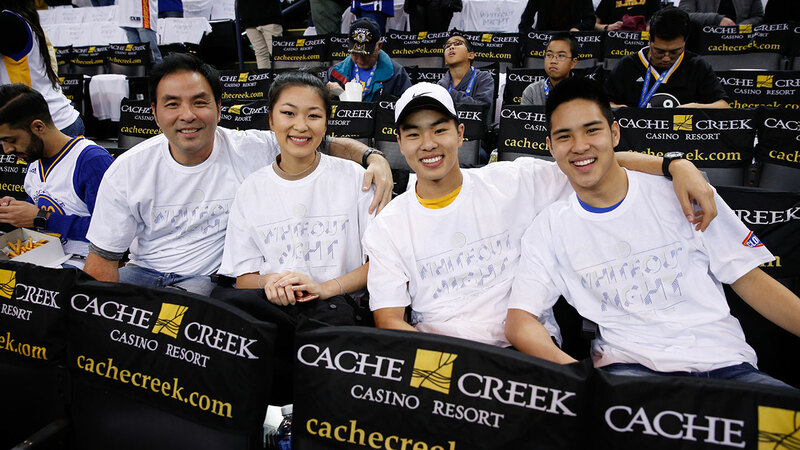 Share the excitement of Warriors Basketball with friends and family by booking your group of 10 or more. 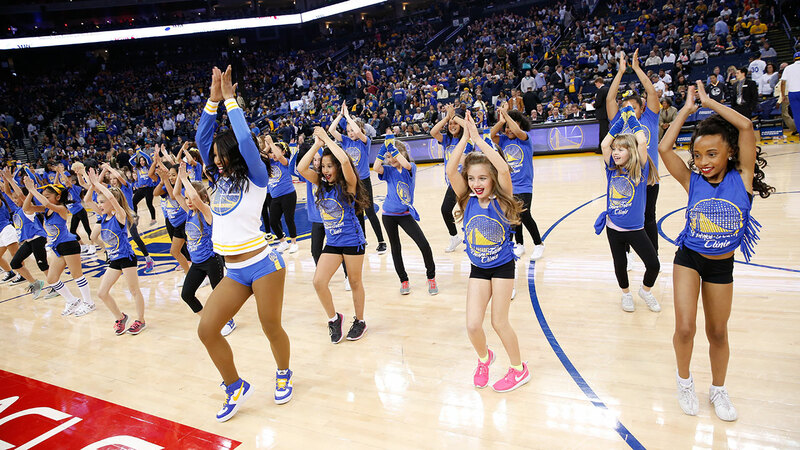 Warriors Ground is the perfect stage for corporate outings, youth basketball teams, celebrating heritage nights and more! Don’t miss out on exclusive savings, Fan Experience Programs, and Championship basketball. 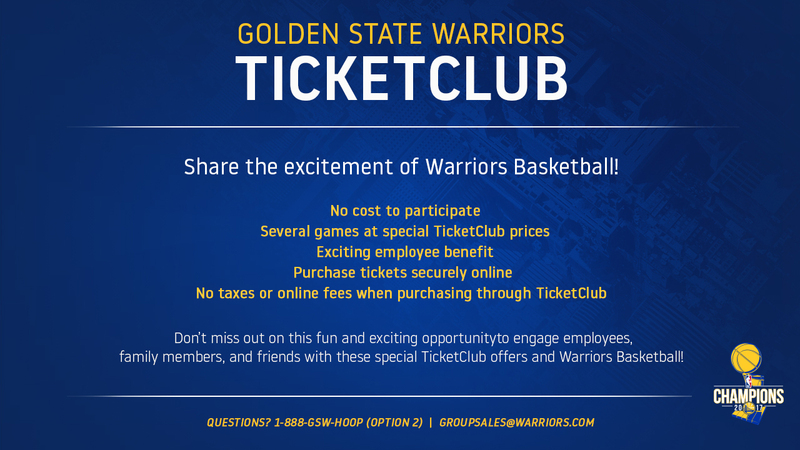 Be a part of DubNation today! 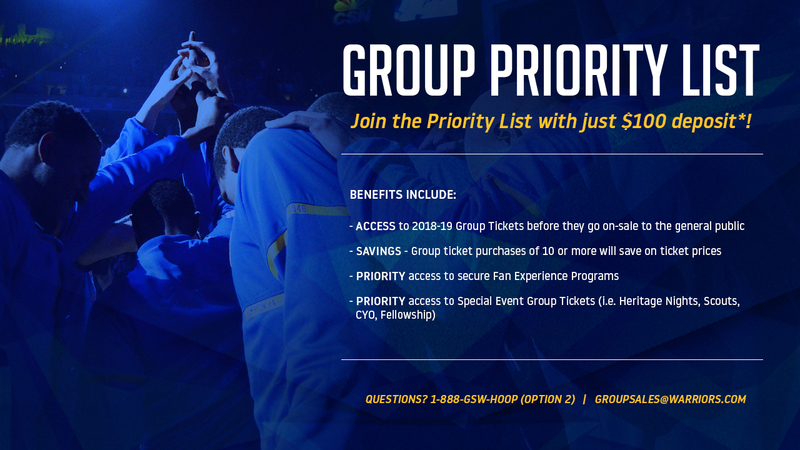 Join the Priority List today with just a $100 deposit and gain access to Group Tickets for the 2018-19 season before the general public. 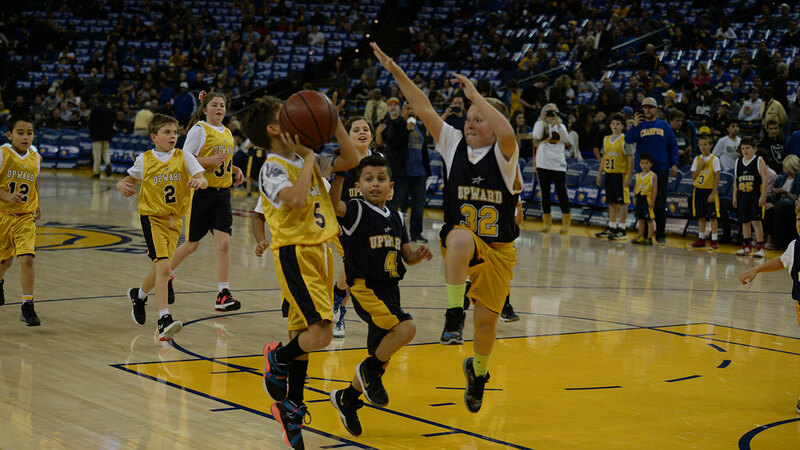 Play on Warriors Ground for up to three hours before Arena doors open to the general public! 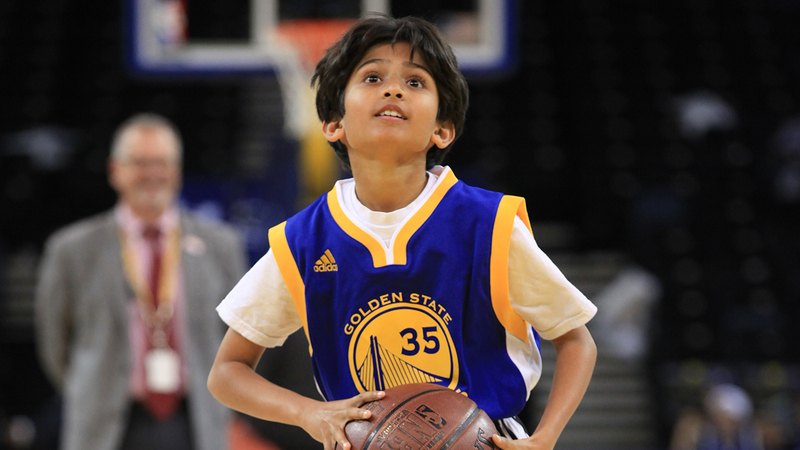 Sit courtside while you watch your NBA Champions warm up before tipoff! 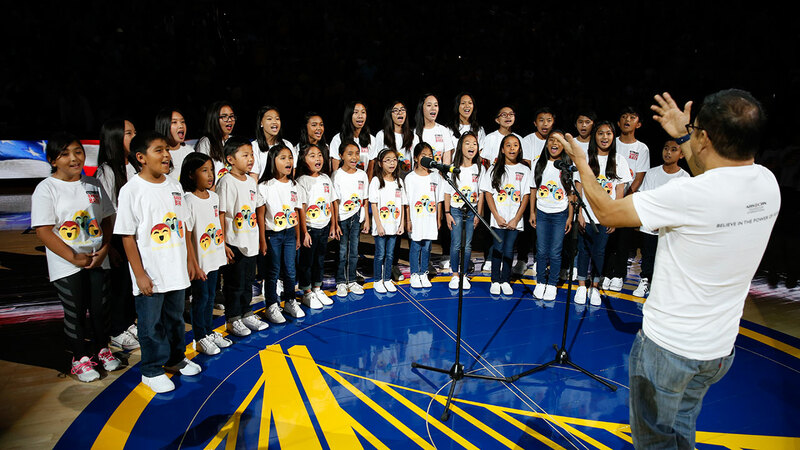 Book your group to perform the National Anthem on center court before tipoff! 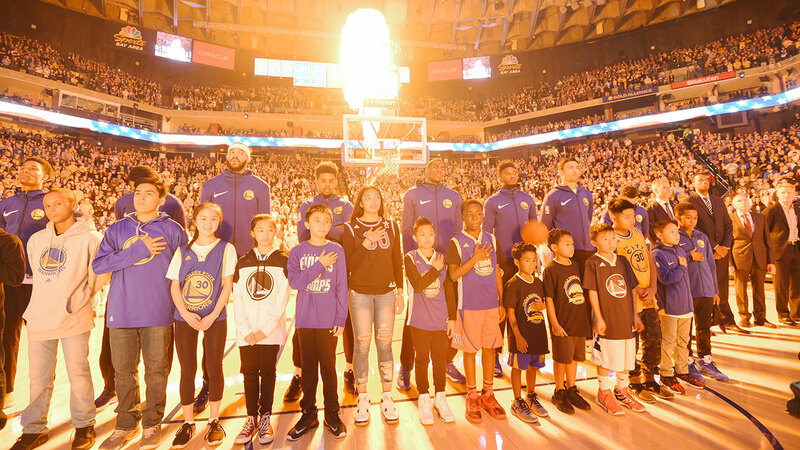 Stand on the court during the National Anthem and be alongside NBA players! 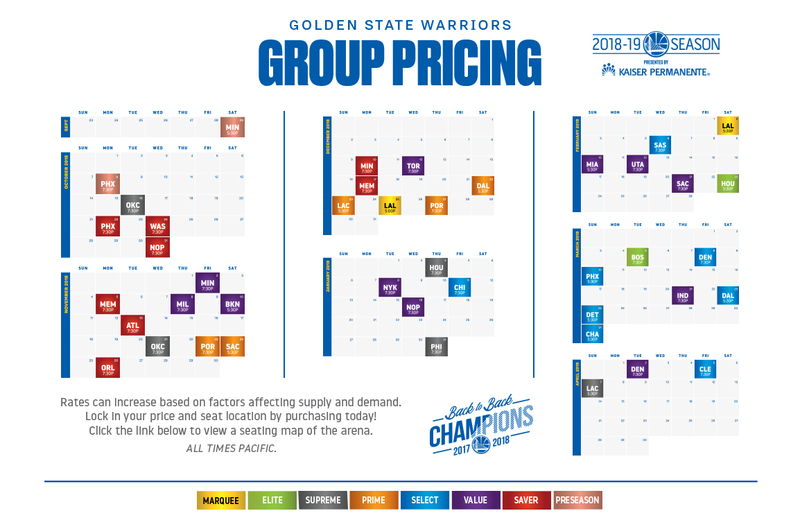 Reserve the best stage in sports and play or perform in front of DubNation! 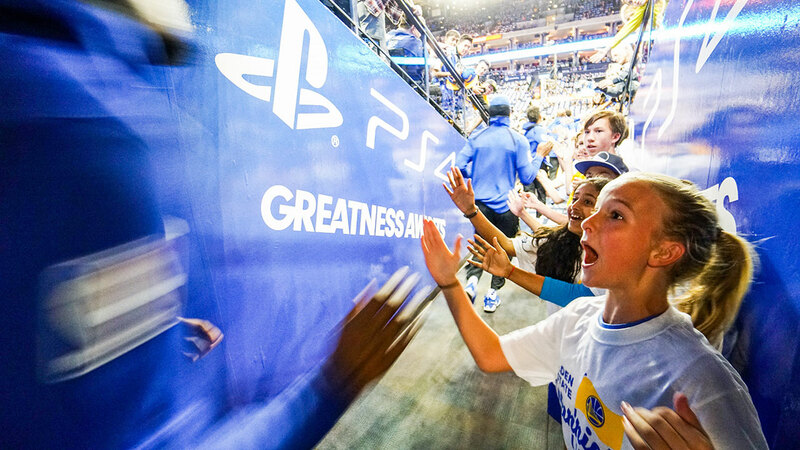 Stand in the player tunnel and high five your favorite NBA player as they take the court! 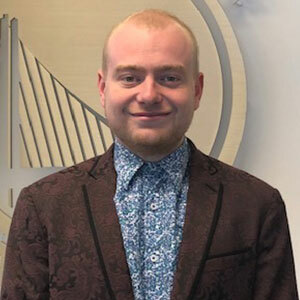 Stand where the Dubs stand and shoot a postgame free throw on the Warriors court! 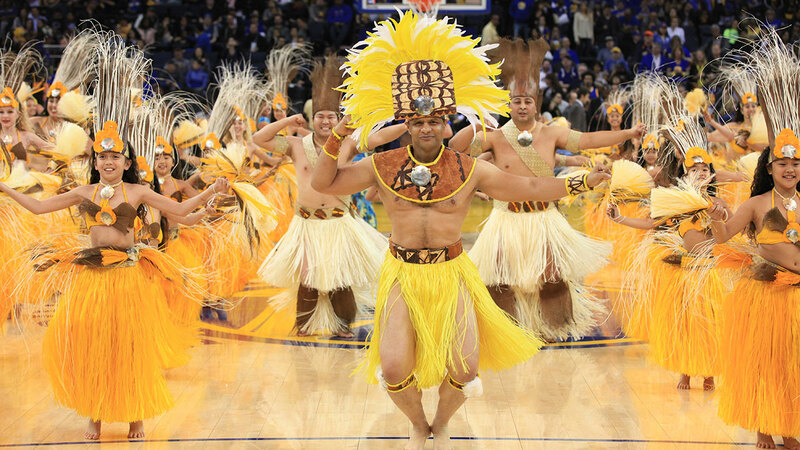 Celebrate heritage nights with special performances and more! 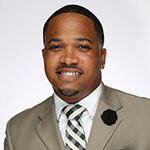 Register your company at no cost and receive specially priced tickets to share with your employees!